For much of America, Halloween is a time for bags of candy, elaborate and creative costumes, and eerie tales and activities that pair off with the crisp autumn weather to bring each town a creepy package of spooky holiday spirit. Many might know that Halloween is descended from the holiday All Hallow's Eve, a Celtic festivities holiday in which the Celts believed the veil between the living and the head thinned and interactions beyond the grave were more likely. Yet do you know about Dia de los Muertos, the Mexican holiday that doesn't cast the dead in a frightful light but actually celebrates them? Dia de los Muertos (Day of the Dead in Spanish) is celebrated at the eve of October 31st, and then continues on to November 1st and 2nd. 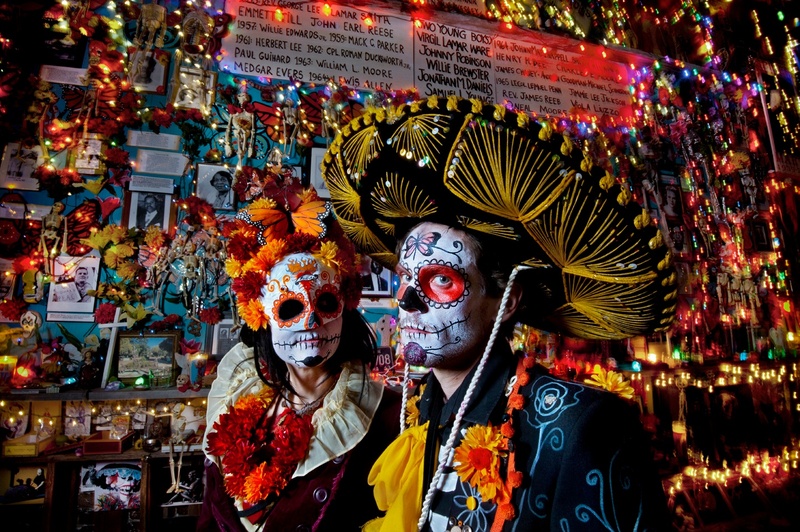 One element of Dia de los Muertos is a calavera de azucar, which is growing in popularity. A calavera de azucar is a sugar skull. These skulls are molded out of sugar and adorned in colorful beads, foils, icing, glitter, feathers, rhinestones, and more. Those who celebrate Dia de los Muertos will write their deceased loved one's name on the forehead of the skull, and place it on an ofrenda (similar to an altar) along with marigolds, candles, tamales, fruits, salt, and beverages their loved one liked to drink. Similiar to the Celtics' belief that during Halloween the dead would come back to earth, for the Dia de los Muertos, it is believed that the heavens open during these few days to allow the dead to roam the earth. The idea of Dia de los Muertos is to to celebrate the lives of loved ones rather than mourn them, and the ofrendo was for them to enjoy the treats they loved during their lives. 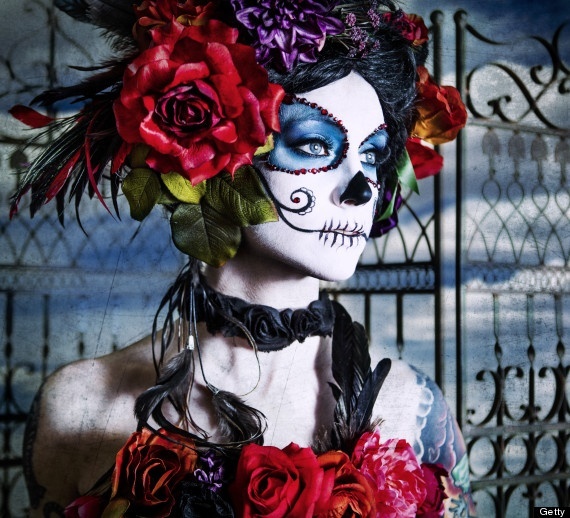 Recently, sugar skulls have become more popular and many people even paint their faces in colorful swathes to resemble the skulls for Dia de los Muertos and Halloween. The idea behind these masks (and to this extent, face-paint) is being able to put their fears of death aside for a time and get in touch with their mischievious side. Sugar skull facepaint is culturally beautiful, has significant meaning, and is a way to celebrate the lives of those who have passed on. 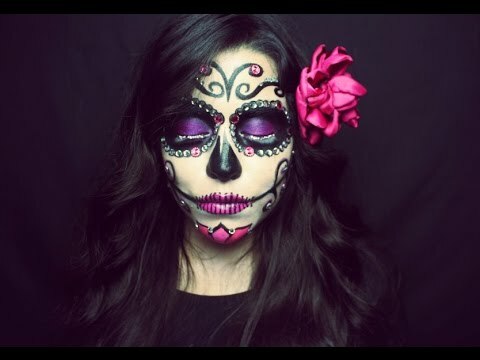 If you are interested in learning how to do sugar skull facepainting, Continuing Education and Workforce Training is offering a class October 2 in both sugar skull or scary skull makeup. 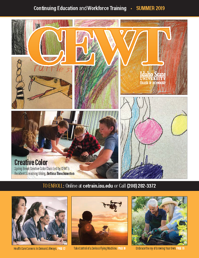 Visit cetrain.isu.edu or call (208)-282-3372 to sign up.